All fees include a club field fee. WUFC Classic Soccer is our competitive program for players ages U11 – U14. 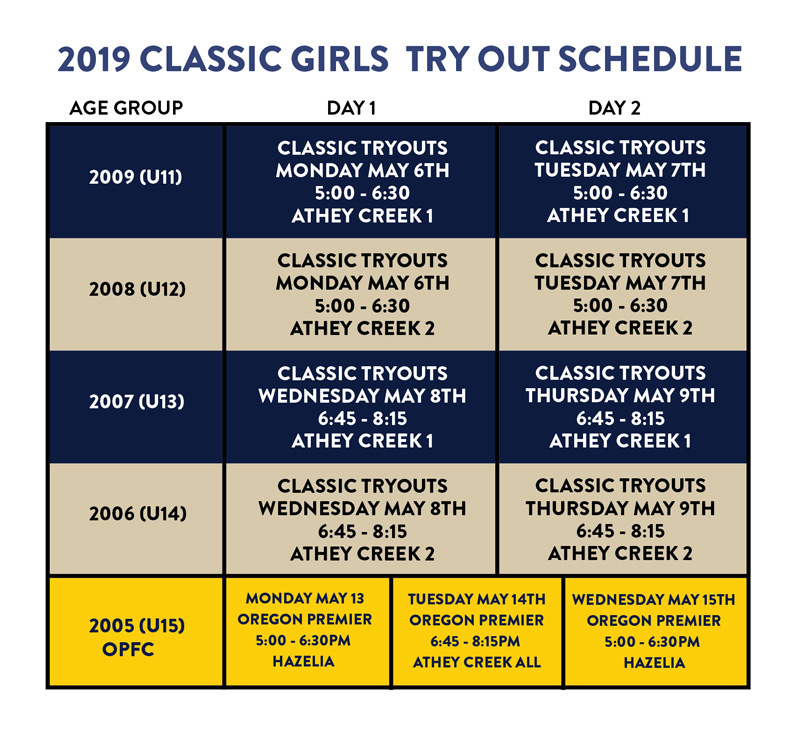 Teams will compete against other competitive soccer clubs in the Portland metro area and around the state. Players will be invited to join a Classic team after a successful tryout. Our Classic coaching staff is highly trained and licensed with the US Soccer Federation. All WUFC Classic teams train twice per week and play regular league games on both Saturdays and Sundays during Fall and Spring seasons. 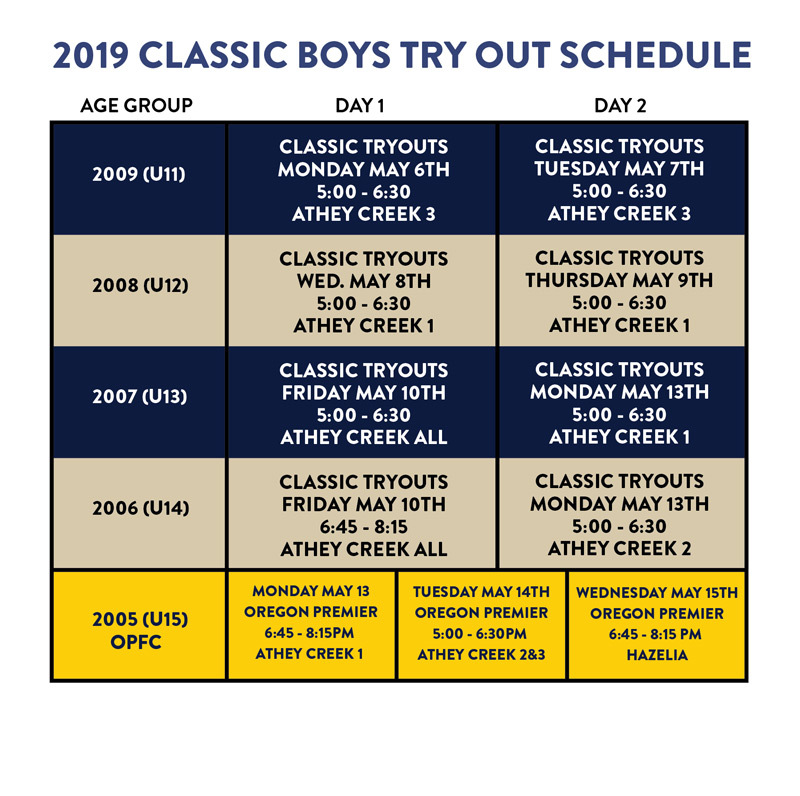 Oregon Premier FC is one of the most competitive soccer academies for middle and high school aged men and women soccer players in the Pacific Northwest, formed though a collaborative partnership between Willamette United Football Club and Lake Oswego Soccer Club. Is This The Right Soccer Program For Your Child? Willamette United Football Club offers numerous soccer programs throughout the year. We understand that this can be confusing for players and parents. We’ve prepared a Player Development Road Map to help clarify the programs we offer and how players can progress year to year. Every Willamette United player and their development is very important to us. If you have additional questions regarding the path of development for your player, please contact us at info@willametteunitedfc.com.